Overlooking the Grand Canal, Huband House is a family-run bed and breakfast with free Wi-Fi and free private parking. The RDS and The O2 Dublin are close by. 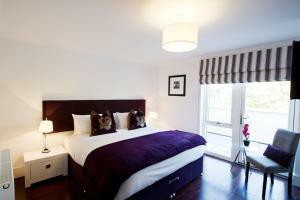 Each en suite bedroom at Huband House features a TV and complimentary toiletries. A full continental breakfast is provided. There is an Aircoach stop just a 5-minute walk from the guesthouse. 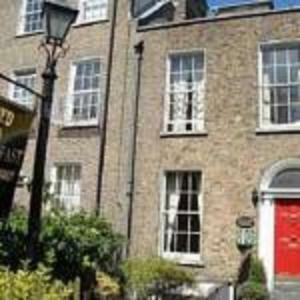 In south Dublin city, Huband B&B is a Georgian house, close to Lansdowne Road Stadium. The bars and restaurants of the Grand Canal Dock area are close by. 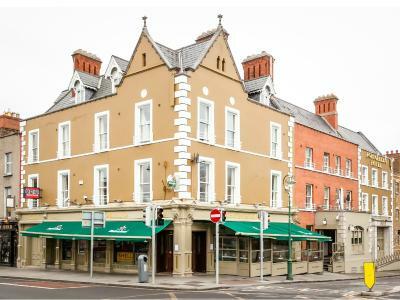 Less than 5 minutes' walk from bustling O'Connell Street, this historic hotel offers rooms with en suite bathrooms and a lively bar. Trinity College and vibrant Temple Bar can be reached in 15 minutes on foot. 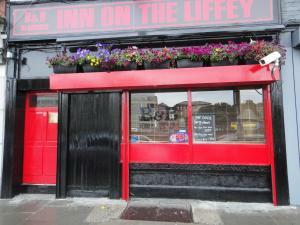 Barry's is located in Dublin's centre and is a 15-minute walk from Croke Park. The shopping of Grafton Street and the Olympia Theatre are a 20-minute walk away. Rooms at Barry's Hotel all feature a TV and tea/coffee-making facilities for guests. Ironing facilities and hairdryers are available on request. 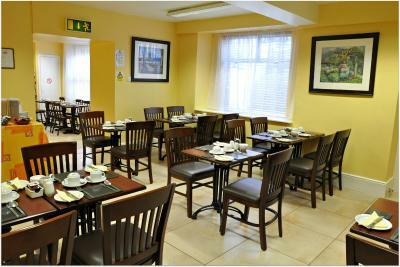 Full Irish breakfasts are available each day, and Barry's Bar serves drinks and light snacks. The bar is open until late, and a nightclub is located underneath the hotel. Overlooking the River Liffey at O'Connell Bridge, the Clifton Court Hotel is in Dublin's center, just a minute's walk from bustling O’Connell Street. Live Irish music plays from Thursday to Sunday, and Irish food is served every day. Trinity College and Busaras, Dublin's main bus station, is located just a 5-minute walk away. Both the vibrant Temple Bar District and the shops of Grafton Street are 10-minutes away by foot, and Dublin Castle is a 5-minute walk away. 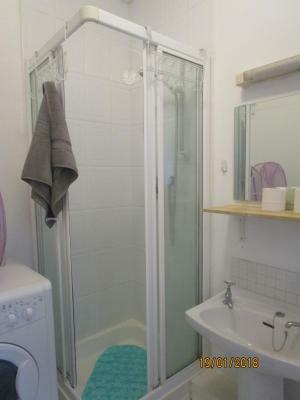 Rooms all include a private bathroom with a hairdryer. 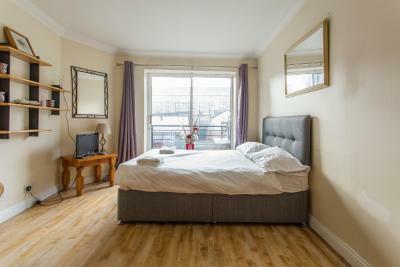 Guests can also make use of free tea and coffee amenities and relax with cable TV, while some rooms offer River Liffey views. The main bar offers a varied menu, a wide range of drinks, and live Irish dancing as well as live music from Thursday to Sunday. 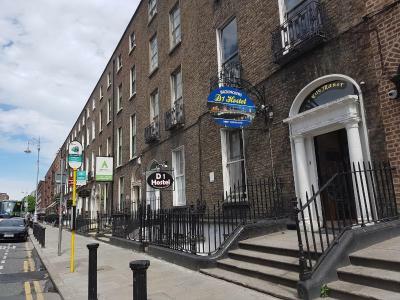 The Maple Hotel is located on Gardiner Street in the heart of Dublin city centre, 5 minutes' walk from central O'Connell Street. 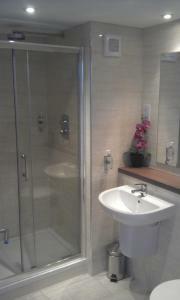 It provides bright rooms with en suite bathrooms and TVs. 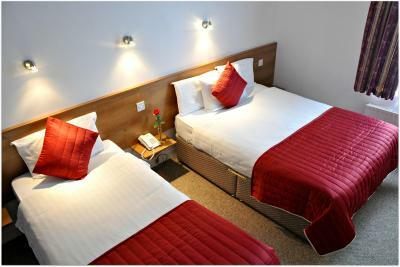 Beds have continental quilts and the spacious rooms each have telephones and tea/coffee making facilities. 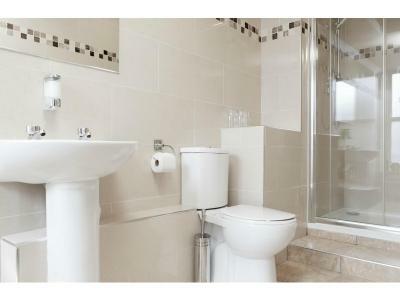 Each room also offers an en suite bathroom with complimentary toiletries. 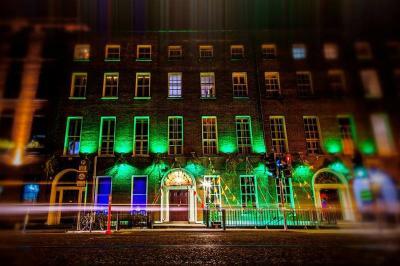 The bustling Temple Bar, Dublin’s premier restaurant and pub district is just 15 minutes' walk from the Maple. Croke Park, Dublin Castle and Trinity College are all within a 10-minute walk. 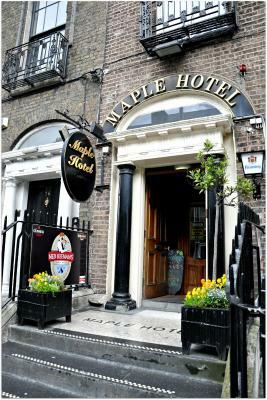 The Maple Hotel has excellent transport links with Heuston Train Station just 2 miles away. Dublin Airport is also within easy reach and is a short 10-minute drive from the hotel. The Jackson Court Hotel Dublin is located in the centre of Dublin, just a 5-minute walk from Grafton Street and St. Stephen’s Green. 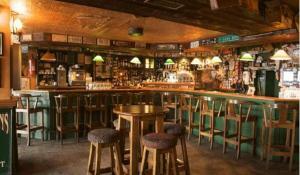 It offers an on-site nightclub, full Irish breakfasts, and rooms with private bathrooms. 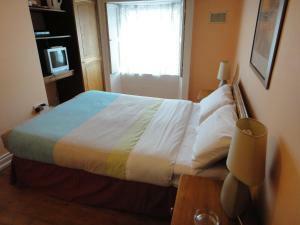 Rooms each provide a TV with satellite channels, as well as free tea and coffee in the room. 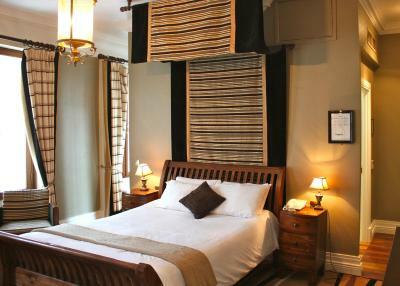 Guests can make use of a hairdryer, and some rooms boast king-size beds and LCD TVs. O'Connell Street, St Patrick's Cathedral and Trinity College are just a 5-minute walk away. The Guinness Store House and Dublin Zoo are also just 5 minutes away on foot.The LUAS tram stops just outside the hotel's door for easy access to the rest of Dublin. 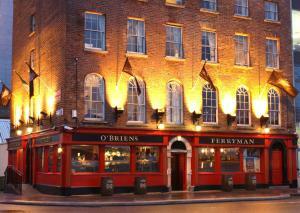 Comprised of 2 restored listed Georgian buildings, The Ferryman Hotel overlooks the River Liffey. Good-value rooms and a lively pub and restaurant are just a mile from Dublin's centre. Built in the 1780's by Lord Cardiff, each room is now well-equipped with modern facilities including a TV, telephone and tea/coffee maker. 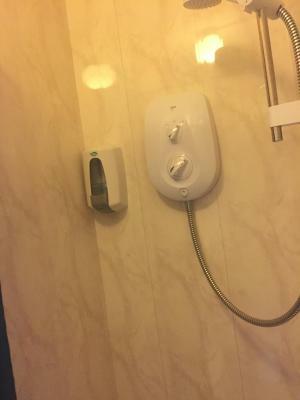 A bathroom in every bedroom has a hairdryer. 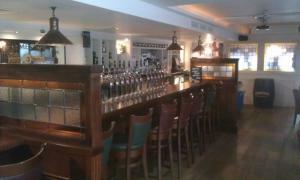 Renowned for it's traditional Irish Music, the Ferryman's pub offers guests a friendly, vibrant atmosphere. Traditional Irish breakfasts and food are served in the Southbank Restaurant. 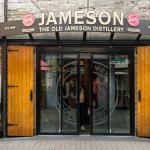 Temple Bar, Dublin's cultural quarter, and the Aviva Lansdowne Road Stadium are both 1 mile away. 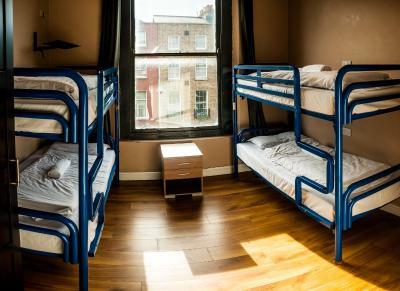 Just a 5 minute walk from bustling O'Connell Street and a 15 minute walk from the vibrant pubs of Temple Bar, this hostel is in a historic, Georgian building. With a 24-hour front desk, it offers free Wi-Fi and free luggage storage. Guests at Backpackers D1Hostel can use a self-catering kitchen, and there are snack machines in the hostel. Free bed linens are provided, and security lockers are available at the front desk. Limited parking is available, and beautiful Trinity College can be reached in 10 minutes by foot. The shops of Grafton Street are a 15 minute walk from the hostel. Guests can relax in the TV room, and there are free board games and an outdoor patio area too. Overlooking the Grand Canal, the Portobello Hotel is less than a 10-minute walk from St Stephen's Green. It offers spacious rooms with free Wi-Fi, a fine restaurant and a nightclub. 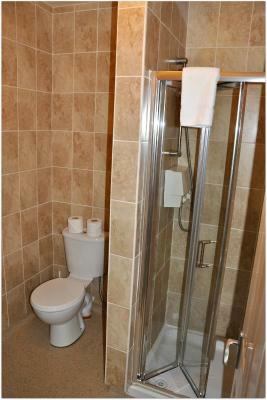 The comfortable rooms at the Portobello feature TVs, hairdryers and tea/coffee-making facilities. 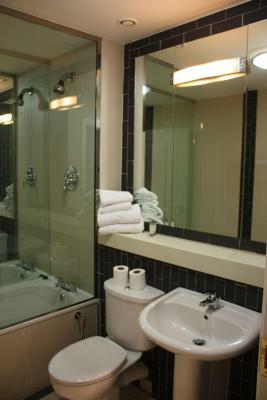 They include bathrooms with baths, showers and free toiletries. 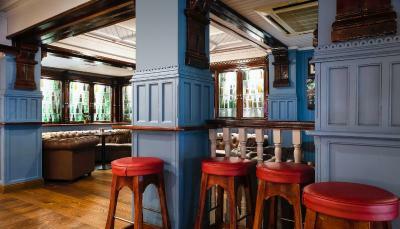 First opened in 1793, the Portobello offers a long tradition of hospitality in a modern atmosphere. The restaurant serves an international a la carte menu, whilst the traditional bar offers light snacks and a range of beverages. Guests can dance the night away at weekends at The Rain Nite Club, which adjoins the hotel. Dublin Castle and Trinity College are both 1 miles away from the hotel. 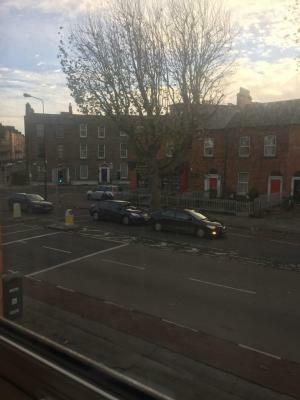 The hotel is on a bus route with a direct link to Dublin city centre. 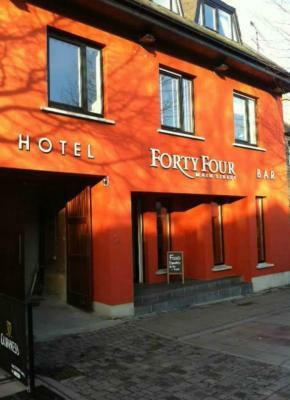 Just a 5 minute drive from Dublin Airport, Forty Four Main Street offers elegant guest rooms in the village of Swords, which dates back over 1,400 years. Guests can enjoy free Wi-Fi, and play golf at several nearby courses. Elegant and stylish, rooms at Forty Four Main Street are luxuriously decorated and feature a balcony and a wall-mounted flat-screen TV. 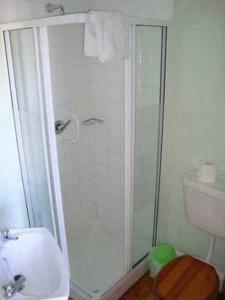 Each also has tea and coffee making facilities, and a private bathroom with free toiletries. Homemade soup, sandwiches, and traditional favorites like cottage pie and lasagna are served in the restaurant. Light options like salmon fish cake are available throughout the day, and delicious evening meals are also served, with options ranging from sirloin steak to sea bass. 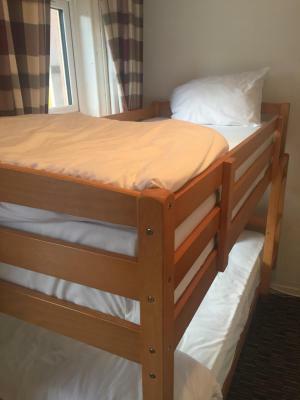 The Belvidere Bunk Room is a property set in Dublin near Croke Park Stadium. Guests staying at this lodge have access to free WiFi. EPIC The Irish Emigration Museum is 1.2 miles from the lodge, while St. Michan's Church is 1.3 miles from the property. 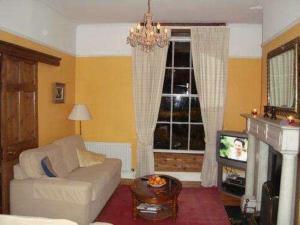 The nearest airport is Dublin Airport, 6.2 miles from the property. 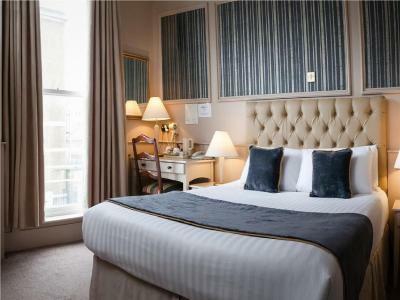 The Dergvale Hotel is a family run 2-star hotel with an excellent city centre location within walking distance of O'Connell Street, Temple Bar, Dublin Castle, Trinity College, the principal shopping areas, museums, theatres, cinemas and the Airport Bus. The hotel has a fully licenced bar and a restaurant serving breakfast and evening meals (à la carte). It is under the personal supervision of the proprietors Gerard and Nancy Nolan, the second generation of Nolans to maintain the high standards and tradition of this city centre landmark. 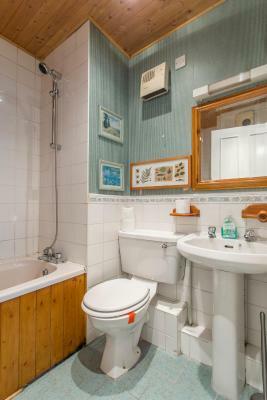 Bedrooms are well appointed with ensuite shower bathrooms, colour television, direct dial telephone. 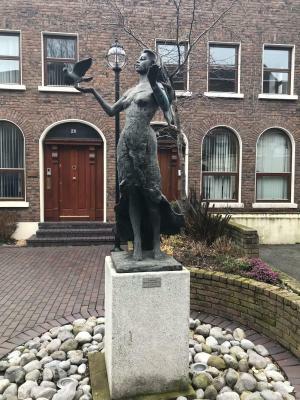 Windsor Place is located in the Dublin City Centre district of Dublin, 450 yards from Leinster House and less than 0.6 miles from The Little Museum of Dublin. 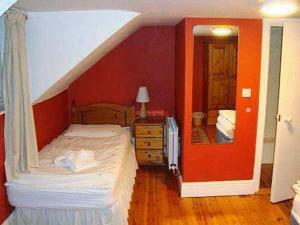 The 2-star apartment is an 11-minute walk from National Museum of Ireland - Archaeology. The apartment includes 1 bedroom and a kitchen with an oven and a kettle. 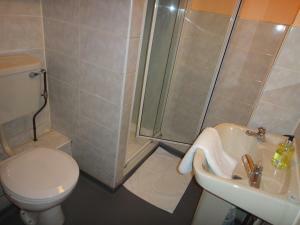 The apartment also provides guests with 1 bathroom. Grand Canal is 0.7 miles from the apartment, while National Library of Ireland is 0.8 miles away. Dublin Airport is 9.3 miles from the property. 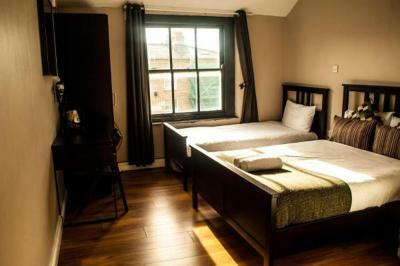 In the heart of vibrant Dublin, Inn on the Liffey Guesthouse and Dock Sauna is a gay-friendly B&B featuring free Wi-Fi, free sauna (for men only), and easy access to Dublin's nightlife. 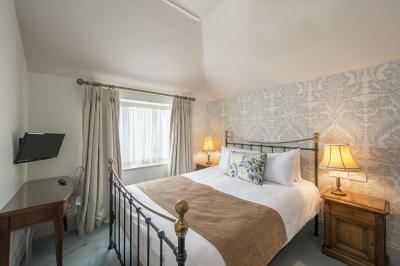 Each room at the Inn on the Liffey features a private bathroom with free toiletries, a TV with satellite channels, and tea/coffee making facilities. The property also has a self-catering one-bedroom apartment featuring a full kitchen, a large dining and living area, and a furnished patio. A hearty breakfast is served daily in the spacious dining room and it includes full Irish breakfast as well as vegetarian options. St Patrick's Cathedral is a 10-minute walk away and the Guinnes Storehouse is just over half a mile and half from the property. Temple Bar is a 5-minute walk away; the popular shopping area of O'Connell Street and Grafton Street is a 10-minute walk from the Inn of the Liffey. 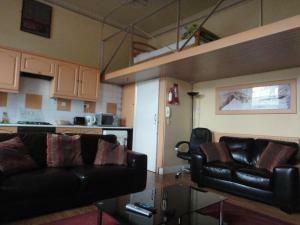 Situated in Dublin in the Dublin County region, Viking Harbour Self Catering features a balcony. Free WiFi is provided. The apartment features a TV and a living room. The accommodation is equipped with a kitchen with an oven and a microwave. Popular points of interest near the apartment include Guinness Storehouse, National Museum of Ireland - Decorative Arts & History and The City Hall. 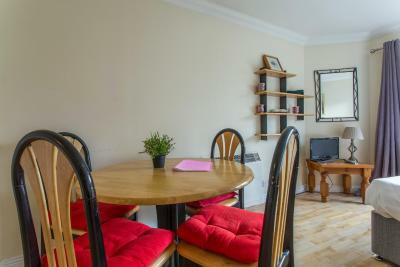 The nearest airport is Dublin Airport, 8.7 miles from the property.